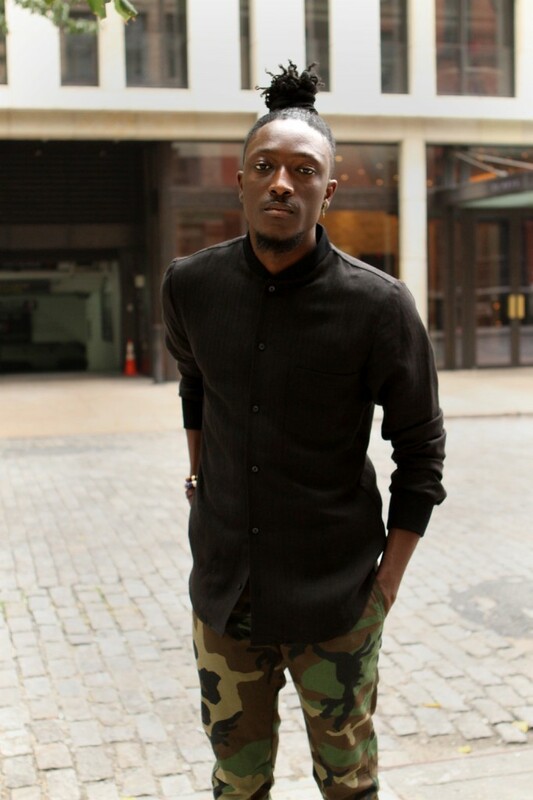 Joshua Kissi is a photographer, creative director and co-founder of the popular men’s lifestyle website turned Creative Agency, Street Etiquette. More than just black men’s fashion, his company provides a cultural, historical and urban aspect with stylized storytelling. Street Etiquette has been featured in magazines such as GQ, Complex, Essence and Fantastic Man, and has built a solid client base of Adidas, Starbucks and the U.S. Open. Alongside his partner Travis Gumbs, they created what started off as a style diary/blog for fashion. A new, redefined cool. Their stylized fashion blog set themselves apart from others and quickly gained popularity by its unique, cultivating style; urban yet sophisticated tailoring as well as their way of telling a story by the use of photography. Kissi’s style helped tell his story through his own experiences as being a first generation Ghanaian-American. He has been able to harness both cultures and link both worlds through creativity. The name of the company has an interesting backstory as Kissi explained it. Growing up in Brooklyn and being a Nas fan, the name of their company actually comes from one of his songs. In “Where Y’all At” off of Hip Hop is Dead, Nas said, “street etiquette with speech impediments/but still see Presidents.” From there, Street Etiquette was born. When asked whether he planned for Street Etiquette to be what it is today, Kissi responded by saying that they never sought out for it to be a creative agency. Their growth eventually led to better brand awareness, and they have worked with larger brands over time, such as the ones mentioned earlier: Adidas and Starbucks. Kissi came up with what he calls “passion projects,” wherein he stresses the importance of creating or having an idea that has meaning and affects the culture in some way. One of his favorite projects is “Black Ivy.” For this project, they incorporated the styles of historically black colleges. They combined a mix of art and culture to education and fashion. A lot of people like to get ahead of themselves and think big picture, but it is important to write them down and focus on one idea at a time. Master one idea and then move on to the next one. 1. Look for what’s missing out there and try some way to express it. Fulfill that void the best way you know how, whether it’s photography, writing, music or graphic design. Just try. 2. Collaborate — No one is a one-man army, and in order to have success, you NEED community and people to help you grow while also holding you accountable. Find that creative circle of people who inspire you and build. 3. Keep challenging yourself even when you’re comfortable. It’ll pay off to have some credit in the tank when you feel you’re not as creative anymore. As far as Joshua Kissi’s future endeavors, he plans on launching two new companies in 2017 to get more personal passion projects out. He continues to be a creative entrepreneur while exploring other opportunities for him to affect the culture as well as to push the boundaries. What ideas do you have and how are you taking steps to make them come to life? Let us know in the comments below!